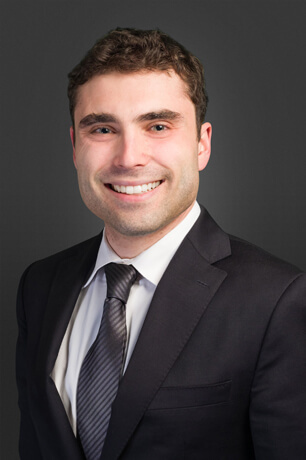 Michael is an associate lawyer with Shulman Law Firm. He has been practicing family law since he was called to the Bar in 2016. Michael began his academic studies at Queen’s University where he obtained a B.Sc. (Hons.) in Life Science, and earned a minor in Philosophy. He then enrolled at the University of Toronto to complete his master’s degree in Public Health. Wanting to pursue a career where he could make a real difference and provide essential guidance for people experiencing difficulty in their personal lives, Michael completed the Dual J.D. Program at the University of Windsor and University of Detroit Mercy, earning this Canadian and American law degrees in 2015. During his time at law school, Michael was actively involved in the Moot Court Board of Advocates, Pro Bono Students Canada, and Windsor’s Community Legal Aid organizations. Michael enjoys spending his spare time on the slopes, and has been snowboarding for twenty years.